If it happens, Ford would be the only automaker in the U.S. with a compact, unibody pickup. 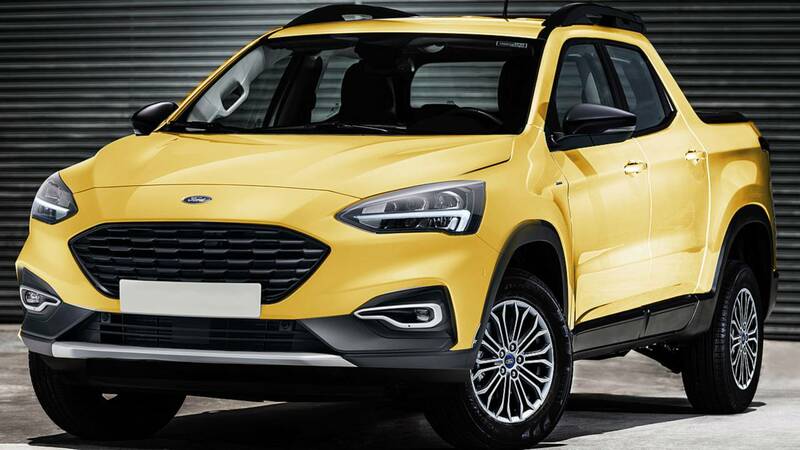 Rumors indicate that Ford might expand its pickup offerings in the United States by creating a compact, unibody truck with the Focus as the vehicle's starting point. Designer Kleber Silva imagined what this model might look with these renders from his Behance page. These renders imagine the Focus in two forms. Up front one of these has the front end from the Focus Active with rounded fog lights in the lower corners. The crimson example has more angular lenses, body-color lower fascia, and chrome accents. Both versions feature lifted ride heights and a roof rack. At the back, Silva retains the Focus' four-door body but rips off the rear portion of the roof to create a small bed at the back. Don't expect to haul a full sheet of drywall in the cargo area, but there should be enough room to haul a few bags of mulch or for plants that might be too tall to stand up in a hatchback without bending. 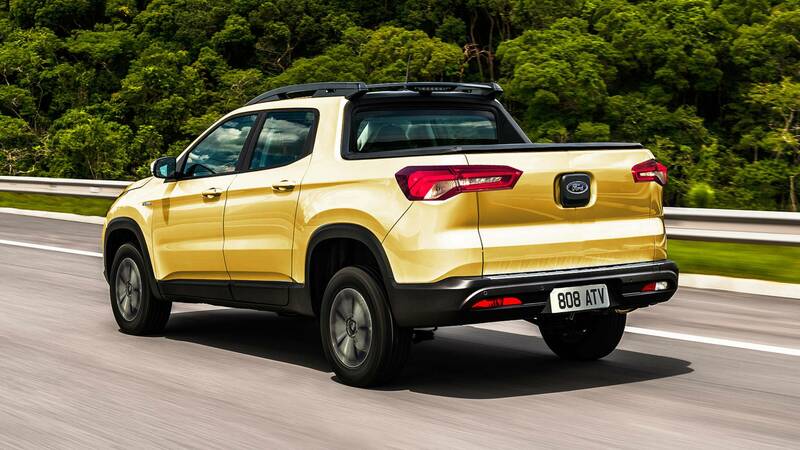 According to this rumor, the Focus-based pickup would arrive in 2022 and slot underneath the forthcoming Ranger midsize truck. It might even revive the Ranchero (pictured above) model name like the unibody, Falcon-based pickup from the past. The new model reportedly gets power from Ford's new three-cylinder 1.5-liter turbocharged three-cylinder, and it would be available with 148 horsepower or 180 hp. A six-speed manual or eight-speed automatic would be available. There's no word yet whether all-wheel drive would be an option yet. This segment for small, car-based has largely disappeared in the United States, and the last notable entry was the Subaru Baja that exited the country in 2006. Ford last sold a model like this in America when it discontinued the Ranchero in 1979.